The revenues collected by the authority are rent, utilities, parking, landing and passenger fees from various government entities, including the Department of Immigration, Customs and Cayman Airways that use the airport. The authority added that privatization of the airport would obviously not eliminate the need for those government entities to pay these fees. (CNS): Police have arrested two Honduran men following the Cayman Islands’ first ever abduction in which a young adult was taken hostage by his kidnappers on Thursday 18 March. 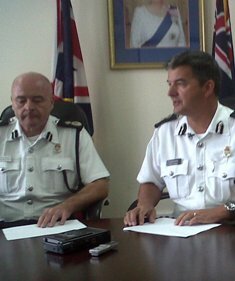 At a press conference held at 2:00 on Monday afternoon Police Commissioner David Baines revealed the details of the crimeand a sixday undercover police operation, during which time a hand-picked RCIPS team had worked in close cooperation with the family, had located where they believed the victim was being held and were ready to rescue the victim, before he himself managed to escape on the Friday afternoon. At about 1:00 pm on Saturday, 20 March, a 36-year-old Honduran national was arrested at Owen Roberts International Airport as he attempted to flee the country. Baines said he was arrested on suspicion of abduction. Around 10:30 this morning, Tuesday 23 March, a second man was arrested as he too tried to flee the Cayman Islands. He is a 28-year-old Honduran, who was also arrested at the airport on suspicion of abduction. Police have confirmed that the two men, who are believed to hold work permits, remain in custody as inquiries continue and police believe there are further people connected to the crime still at large. Baines said that he was unable to reveal full details of the crime as the police wished to retain certain intelligence in order to proceed with inquiries. "This is still a very active investigation, therefore there are details about the enquiry which, at the present time, I am not prepared to release. These details include the identity of the victim or his family, the exact figure of the ransom demand, the location of where the hostage was held, and how he escaped from his captors." The police commissioner said, however, that he believed the crime was a well orchestrated and planned operation in which the victim was selected with the expectation that the family would have been able to meet the ransom demand. The integrity of the operation was preserved for the last six days, something Baines said illustrated that the RCIPS was more than capable of keeping important police intelligence under wraps as not one word of the six-day covert operation had leaked. Revealing the chain of events following the call made to the mother of the victim and the threat to her son’s life, Baines confirmed that the family had put their trust in the hands of the police. Baines said a dedicated unit of RCIPS officers, led by Deputy Commissioner Stephen Brougham, who has experience in hostage taking, was formed immediately to begin covert investigations. ‘The RCIPS operation involved several international law enforcement agencies,” said Baines. Police knew that the parents had also spoken to their son confirming he had been taken against his will as well as the hostage-takers, who had demanded the cash in return for his life and threatened to kill him if the parents make contact with law enforcement. “Despite the warning, the woman and her husband immediately contacted the RCIPS," Baines added. "A hostage negotiator was appointed, and he worked closely with the family throughout Thursday and Friday when subsequent calls were received from the hostage-takers,” Baines explained.“The family was completely on board with everything we were doing and put their trust in the police." On Friday afternoon, the victim escaped from his captors and contacted his mother, who in turn contacted the police. The victim sustained leg, arm and face injuries as a result of the incident. He was taken to George Town Hospital and released following treatment. Descriptions of the suspects were immediately circulated nationally and internationally by the RCIPS to other law enforcement agencies as well as the airport and port. Police then arrested the first of the two suspects at the airport. The commissioner explained that since Thursday police have been working with officers from other jurisdictions who have experience of dealing with hostage situations, including the FBI and Jamaica. He said that during the operation police had in a very short period of time been able to gather significant information and intelligence about the location of the hostage and the individuals involved. The commissioner said he was proud of every one of the officers involved in this enquiry. "This force is often criticised, sometimes the criticism is justified, but on most occasions it is not. This was a difficult and sensitive enquiry – a young man’s life depended on it. The good relationship we quickly built with the family, combined with the integrity, professionalism, discretion and tenacity of the officers involved led to the quick arrests and the hostage being safely reunited with his family. That’s the outcome we all wanted to achieve,” Baines added. He noted that the swift action of his officers would send a message to criminals in other jurisdictions in the region where this crime is not uncommon that the Cayman Islands is not the place where abductions will succeed. (CNS): Following up on a successful 2009 season, the Cayman Women’s Rugby team has been in training since the first week of January in preparation for the first tests of the season coming on 24 & 27 March and the team says it is out to make 2010 a successful year. New faces on the Cayman side including Claire Hughes, Liz Austin, Marion Trail and Katie Scott who have been training for the past few months and say they are ready for game action, while veterans Loletta Hanna, Sumari Naude and Sharon Whitmore will look to lead the squad to their first wins of the season. The Cayman ladies have a busy 2010 season with another visiting side from Bermuda coming in May, a social tour to the Midnight 7’s in June, NACRA 7’s in Guyana in July and most importantly, the NACRA 15’s in Bahamas in August. Hopes have been set high for this season as the Cayman women’s squad aims to maintain its winning streak but says silver at the 15 won’t be good enough this time around and hopes to improve on all its 2009 results. In order tog et in shape the ladies said they have been participating in a number of athletic pursuits since their last rugby matches in November including the Cayman Islands Marathon, Cross Island Relay, Scotiabank Corporate Relay, National Flag Football Team, NOMA Off the Beaten Track Race, St. Patrick’s Day run, and Captain Rowena Lawrence even climbed Mt. Kilimanjaro in Africa. Gretchen Hammes completed her first marathon while the team of Hammes, Krista Pell, Yi Jing Chen, Rowena Lawrence, Cara Hennessy and Ashley Puschman won the ladies division in the Cross Island Relay. Runners such as Emily Davies, Jane Robson, Lisa Kehoe and Fiona Brander are constants at all the running events with Brander and Kehoe forging the triathlon programs as well. Flag footballers Cindy Blekeitas and Ann Marie Douglas represented the Cayman Islands in Orlando in January and were victorious in a number of matches. All of which has prepared the team well for the visiting MIT side who are the current NSCRO National Champions. The MIT side is well known for their speed and agility while the Cayman side will look to challenge those skills with their tenacious play and tough tackles. (The Telegraph): More than 20 MPs of all parties broke strict Commons rules by failing to declare overseas visits to destinations including the Maldives, the Cayman Islands, Mauritius, Sri Lanka and the British Virgin Islands. According to a BBC investigation, a number went on to ask questions of ministers or speak in Parliament on matters relating to the countries which they had visited. David Amess, chairman of the British-Maldives Parliamentary Group, allegedly tabled 15 questions and took part in debates in which he called for more aid for the Maldives after being given a free stay on a “paradise” Indian Ocean atoll. Labour MP Lindsay Hoyle (left) did not comment on allegations that he failed to declare visits to the Cayman Islands and the British Virgin Islands. (CNS): A National Investment Council has been formed to focus on attracting inward investment and public-private partnerships to the Cayman Islands to begin boosting the country’s economic prospects. The premier said that the council would be responsible for marketing Cayman and attracting new business to accelerate the recovery. The council will also be looking after existing investments, assisting the development of local small businesses as well as developing an overall national investment strategy. 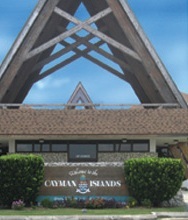 “As a matter of precedence, a strategic planning exercise is needed to identify cross-cutting concerns and opportunities across our economic sectors and set priorities which will guide short-term marketing efforts to bring investors to Cayman,” McKeeva Bush said in a release from the Department of Commerce and Investment, as the Cayman Islands Investment Bureau is now known. According to the release, the NIC’s inaugural meeting focused on inter-agency coordination and developing streamlined processes to meet investors’ expectations, particularly in the financial services sector. A presentation by Department of Commerce and investment Executive Director, Dax Basdeo, PhD, on research and plans to date for the development of a national investment strategy provided the basis for the NIC’s agenda. Dr Basdeo said government expects the NIC to identify, as one of its objectives, sustaining long-term investments in the Cayman Islands through public-private sector collaboration. He added that to ensure success of the programme, all components of the Cayman Islands investment offering must work in concert to meetthe needs of domestic and international investors. The NIC also discussed continued investment in small businesses by creating links for them to capitalise on new industries and opportunities. 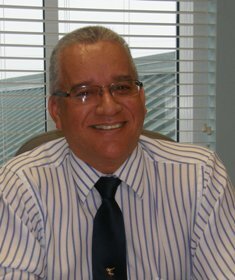 NIC Chairman William Peguero said it was of utmost importance in today’s investment environment to remain competitive and stay one step ahead of other jurisdictions. The NIC will be supported by an Investment Advisory Committee (IAC) consisting of senior civil servants from Immigration, Planning, Environment, Employment Relations, Customs, Tourism, Financial Services and Agriculture. The IAC will provide technical input on all matters before the NIC, determine the criteria and standards for evaluation projects, review applications submitted by investors and make recommendations to the NIC. (CNS): The chair of the newly appointed Constitution Committee has said that he and his colleagues will be looking at how the new Cayman Islands Constitution relates to the election law in order to avoid future ambiguities. Pastor Al Ebanks said that one of the first jobs the committee is likely to undertake is to examine why there was so much uncertainty about who should have been responsible for raising a challenge to the May 2009 election following questions over two candidates who missed one of the declaration deadlines under the constitution. Speaking at the Constitutional Commission’s first press conference on Monday morning, Pastor Ebanks revealed the various responsibilities of the new commission and one, he said, would be to address such conflicts as that thrown up by this year’s election. The pastor stated that this section of the new Constitution was the same as the country’s old document so it needs to be re-written. Joined by his colleagues Julene Banks, Wil Pineau and Deborah Bodden (the manager of all four new constitutional commissions) on Monday, the chair said that having had two previous meetings, the commission had also discussed the issue that occurred during polling day with candidates “stretching the law in handing out cards,” he said. Thecommission needed to ensure that these or other similar things could not happen because of loopholes and flaws in the Constitution. Although the police had said last year they were continuing to investigate those allegations, when asked by CNS recently about the current state of the investigation, we were told the RCIPS had no comment. Pastor Ebanks went on to say that it was not the commission’s direct responsibility to ensure the laws of the land were constitutional as that was the remit of the Legislative Assembly, but it was still of concern to them if there were conflicts that were thrown up and they would be paying attention to them and campaigning for change if they believed laws needed to be revised. The chair noted the two primary objectives of the commission in the coming weeks would be to begin an awareness campaign to help everyone in the Cayman Islands understand the Constitution and what it meant for them. Pastor Ebanks also spoke about producing a cartoon and a plain English version of the document to make it accessible to young and old. Pastor Ebanks said that while there was an argument during the negotiations to get a document that was more simplified, the Constitution is, after all, a complex legal document which the UK had argued has to be that way to prevent too much being left to interpretation by lawyers. As a result the chair said the commission could still produce an easy to understand version for the man in the street and leave the original for the courtroom. The chair also explained that the role of the Constitutional Commission was to advise the government on questions concerning constitutional status and development, to analyse, debate and discuss how the document affected the country, to promote understanding and awareness of the Constitution and its values, as well as produce documents and reports. “The Commission has been described as combining the functions of an advisory body with those of a think tank on constitutional matters,” the pastor added. Above all, he noted that the development of the Constitution must have input from the electorate and the commission would maintain clear and open governance as, he said, non-partisan debate is an integral part of its process. He announced that town hall meetings would begin shortly and hoped that the public would join in the discussion of the development on what was the highest law of the land. (BBC): South Africa’s police have launched a fitness regime to battle obesity, after worries were raised about their ability to keep fans safe at the World Cup. Police commissioner Bheki Cele said new recruits should fit into the same-size uniform for their whole careers. Officers needing a larger size will be given a year to slim down or face being kicked off the force, he said. "Police officers should be able to walk with their heads held high, their stomach in, and chest out – not the other way around," he said. (BBC): Mozilla has released Firefox 3.6.2 almost a week early after security issues were found in earlier versions. Firefox 3.6.2 was originally due to launch at the end of March, but is available to download now from the Mozilla website. The security hole led the German government had issued a warning about Firefox 3.6. The Federal Office for Information Security made a similar ruling on the safety of Internet Explorer in January. The office warned that the Firefox vulnerability, confirmed by Firefox makers, could allow hackers to run malicious programs on users’ computers. The BurgerCERT team of the Federal Office for Information Security (BSI) had recommended that users stop using Firefox until the tested fix was released – in a move remarkably similar to the January announcement, in which France followed suit just days later. (The Independent): The moratorium on commercial whaling, one of the environmental movement’s greatest achievements, looks likely to be swept away this summer by a new international deal being negotiated behind closed doors. 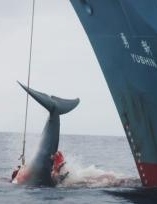 The new arrangement would legitimise the whaling activities of the three countries which have continued to hunt whales in defiance of the ban – Japan, Norway and Iceland – and would allow commercial whaling in the Southern Ocean Sanctuary set up by the International Whaling Commission (IWC) in 1994. Conservationists regard it as catastrophic, but fear there is a very real chance of its being accepted at the next IWC meeting in Morocco in June, not least because it is being strongly supported by the US – previously one of whaling’s most determined opponents. (Times): Alistair Darling will double the fines for offshore tax cheats tomorrow as he searches for cash to reduce the deficit. The UK Chancellor will use the Budget to announce that anyone found hiding money from the Treasury in tax havens will face a 200% fine on its taxable value. Under current rules, those avoiding £10,000 worth of tax overseas face a fine of up to the same value. 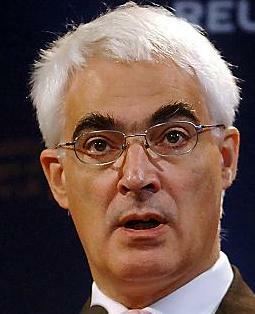 Under Alistair Darling’s new rules, they could be fined up to £20,000. Together with other measures, Darling aims to save more than £1 billion a year. Darling is expected to argue that with the public finances in the worst shape for a generation, tax revenue is more important then ever.